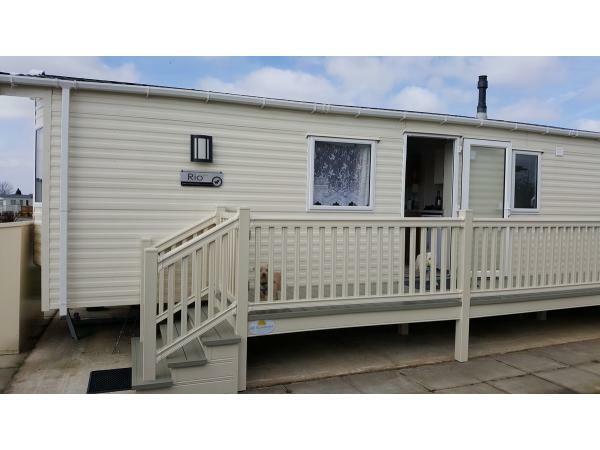 Anne's van is a privately owned 2016 Willerby Rio Gold 4 berth static caravan for holiday lets. Situated within the quiet area of 'Kensington' on Manor Park Hunstanton Norfolk. It has hard standing parking for two cars. 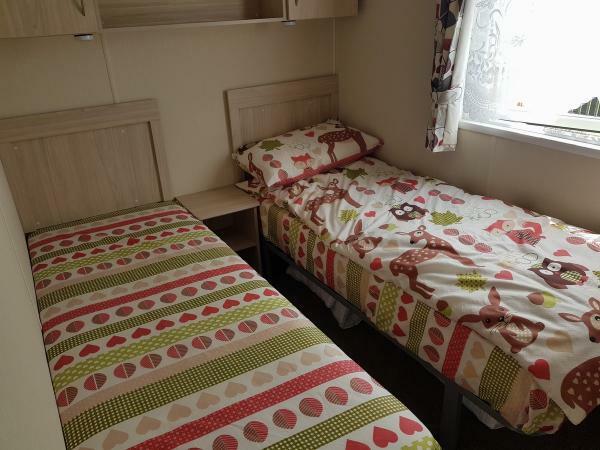 The caravan is let on a self catering basis. A strictly no smoking policy applies. We are a dog friendly caravan with a maximum of two well behaved and house trained dogs as allowed by the Park regulations. We supply furniture throws for use for the doggies that do not like to sit on the floor, so that the furniture is kept clean for other visitors. 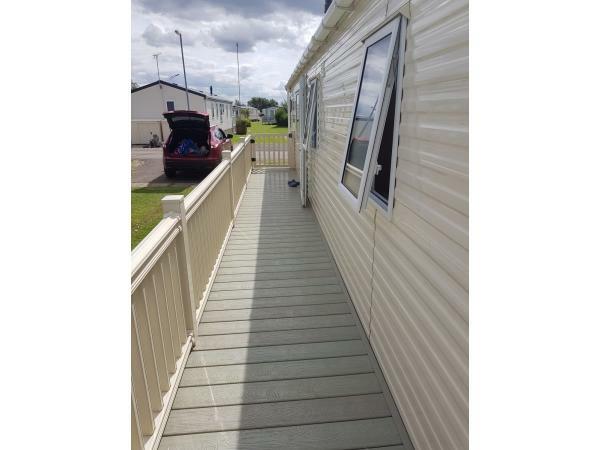 The caravan is double glazed and centrally heated so can be used all year round. The season for rental is from March through to mid January including Christmas and New Year. 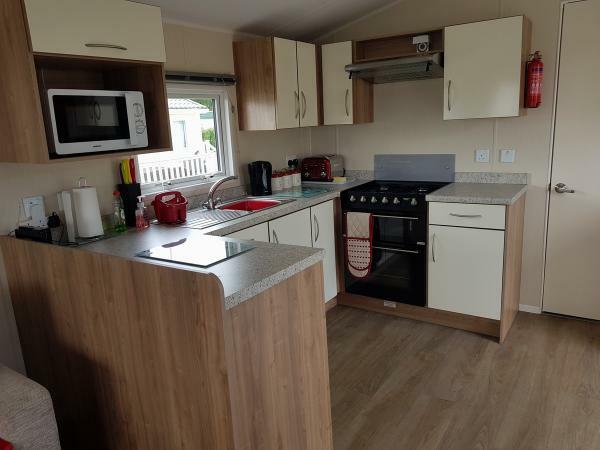 The caravan has an open plan kitchen area with a full size cooker and oven, small fridge/freezer, microwave, kettle,toaster and a good selection of cooking utensils, plates glasses and cups etc. 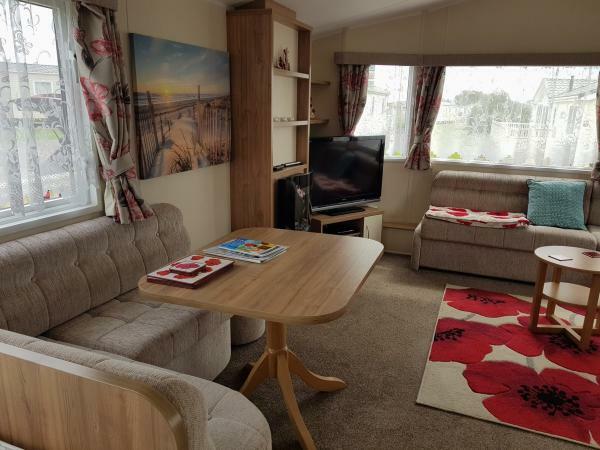 The caravan has an open plan dining and lounge area. There is a dining table with seating for eating. (High chair can be provided). Also plenty of room in the lounge area to just chill out, or watch the 40 inch flat screen television with freeview or a DVD from a selection provided. The lounge also has an electric remote controlled fire in case it does get chilly in Sunny Hunny. 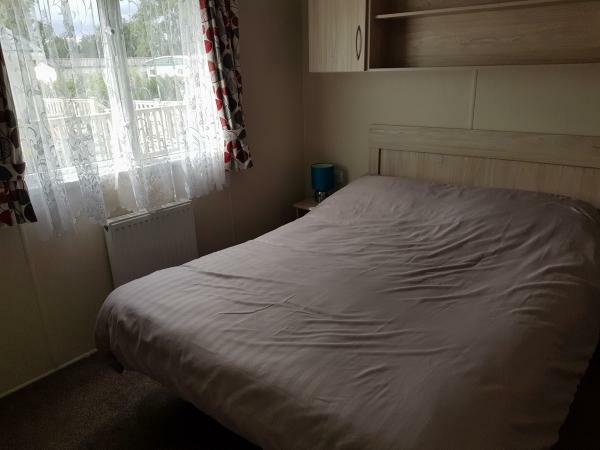 The main bedroom has a double bed and loads of wardrobe space and drawers. Bedside cabinets with touch lights. 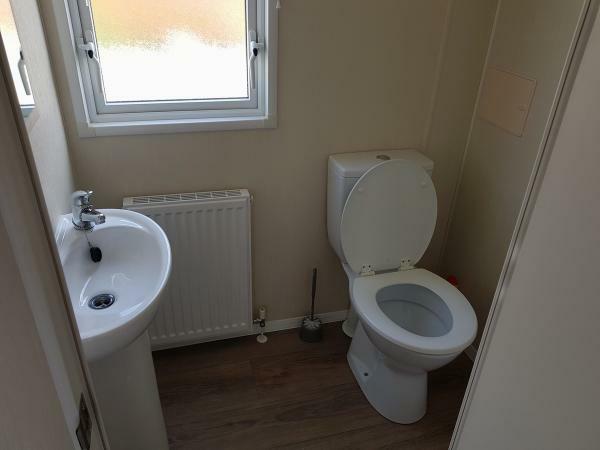 The room has an en suite WC with wash basin. The twin bedroom has two single beds and a wardrobe and drawers. 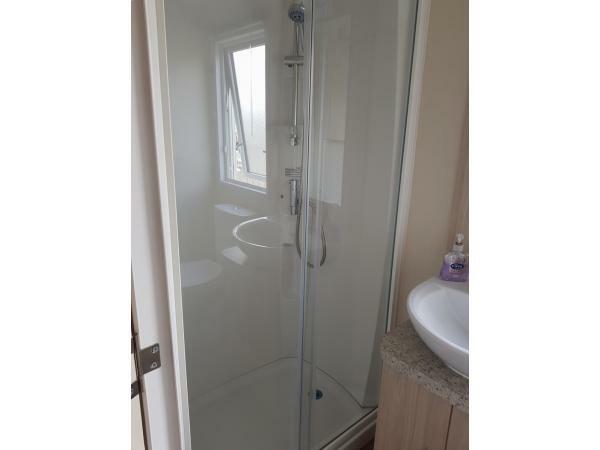 The main bathroom has a large shower, sink and WC. 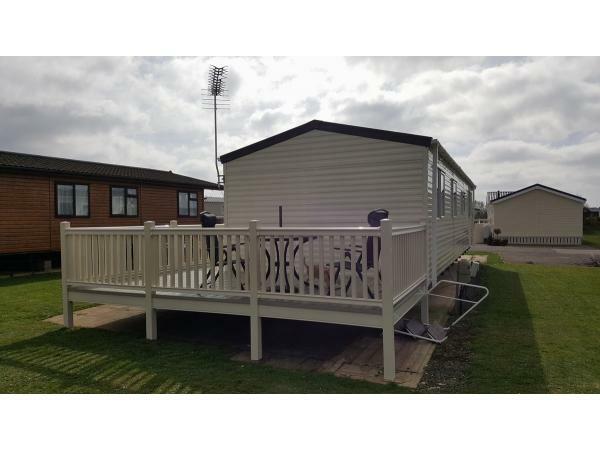 Outside there is large wrap around decking area to the side and rear which is quiet and secluded. There are table, chairs, parasol etc . We supply all bedding -- duvets and covers. If you prefer to bring your own as some people like to please let us know. Tea towels are also provided so you only need to bring your own hand/bath towels and toiletries. WiFi is avaliable on the park through Wifinity at an extra cost. and various other venues in Hunstanton. Entertainment/swimming pool passes are available from reception at Manor Park. A £50 non refundable deposit is required to confirm your booking and the total amount will be payable 6 weeks before your arrival. We also require a £50 damage waver which will be refunded within 7 days provided the property is left in the same condition as it was found. Please phone or e-mail for prices/ booking and any enquiries. 7 day stays are from Friday to Friday. Short breaks minimum of 3 nights are also available. 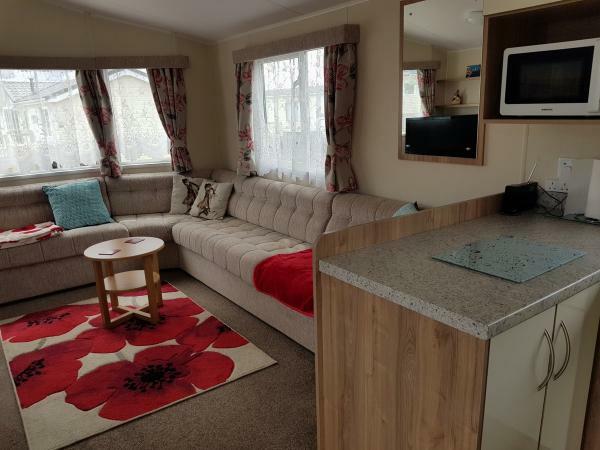 Additional Info: On site we have ample facilities including laundry, clubhouse with daily family activities/ entertainment which includes amusement arcade and a large open plan restaurant. An indoor and outdoor swimming pool which is constantly manned - passes for the swimming/ clubhouse entry can be obtained from Reception. Hunstanton town has an amazing amount of pubs and restaurants including many shops and amusements all 10-15 minutes walk away. Hunstanton promenade and beach is 10 minutes walk away. You may like to visit Sea Life centre and many children's amusements, fair ground or the leisure centre with full size swimming pool along the promenade. There is a lovely walk across the cliff top to Old Hunstanton where you pass beautiful landscaped gardens, ten pin bowling and amusement arcades, bowling green, children's play areas, pitch and putt and footgolf. Be sure to walk down the path by the side of the lighthouse to the beautiful beach and perhaps on the way back walk up to the Pub and relax in their wonderful gardens overlooking the sea. Tesco supermarket is on the road opposite the entrance to the site about 5 mins away. 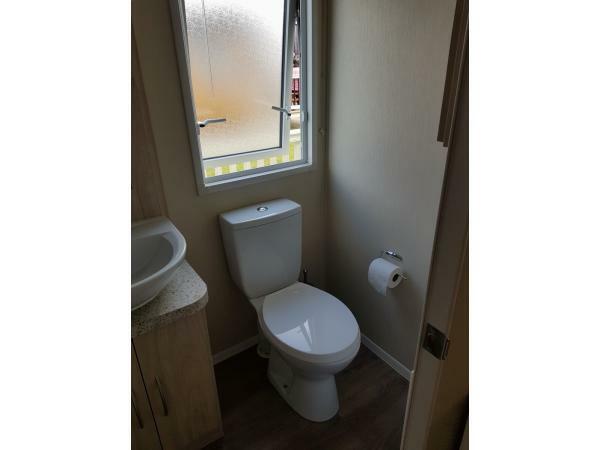 Excellent accommodation - spotlessly clean and tidy. Experience of booking with owner excellent. We will definitely return.